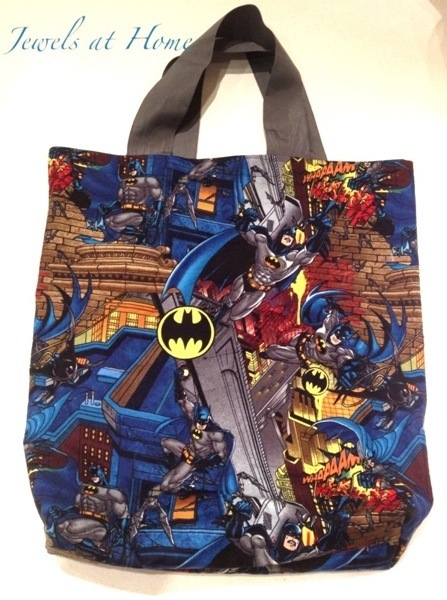 It seems like you can never have enough bags – we use them for groceries, toys, books, snacks, whatever! 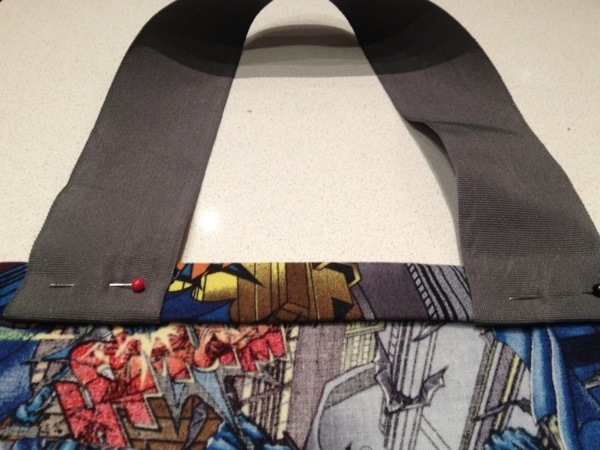 And a nice fabric tote bag is a simple sewing project to display your favorite fun prints. 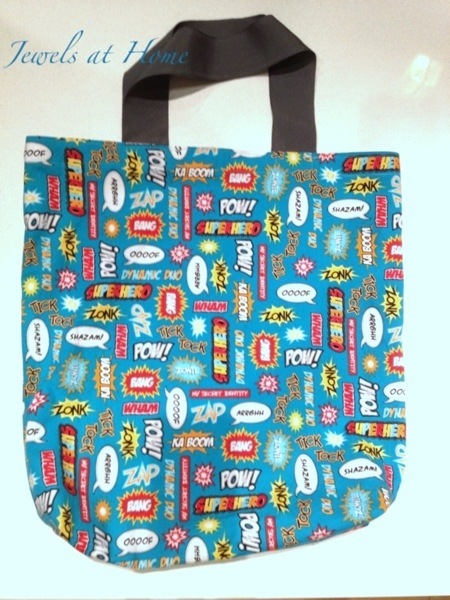 I made these bags for the boys to go with their superhero costumes. 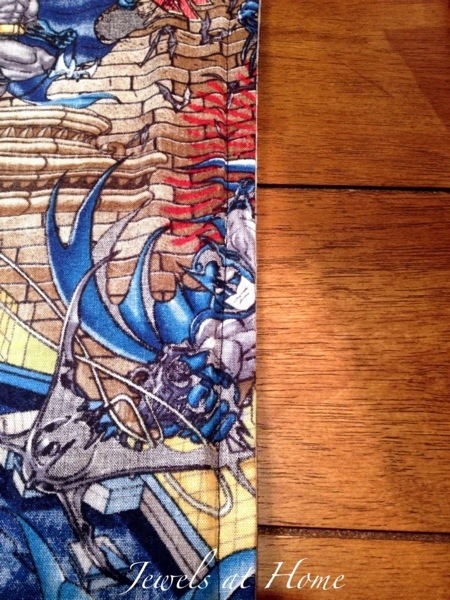 I folded the fabric in half lengthwise, with wrong sides together, and sewed down the length to make a tube. I flipped the tube so that the right sides were together and then sewed another seam to create a neat hidden French seam. 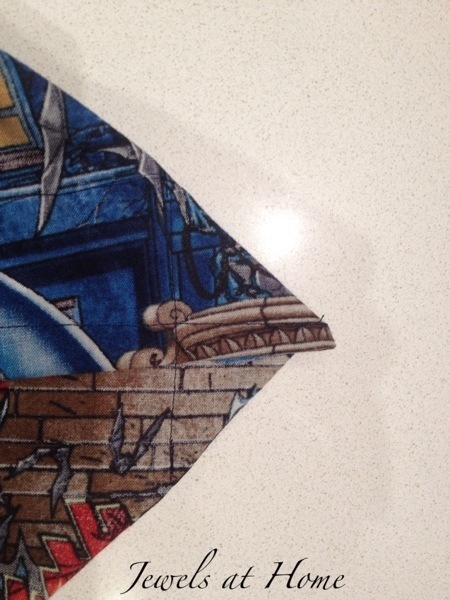 Next, I sewed the bottom of the bag closed. To attach the handle, I ironed a hem at the top and tucked the ribbon for the strap under the hem. Then, I sewed down the top hem, with extra stitching around the handles. And here are the finished bags! 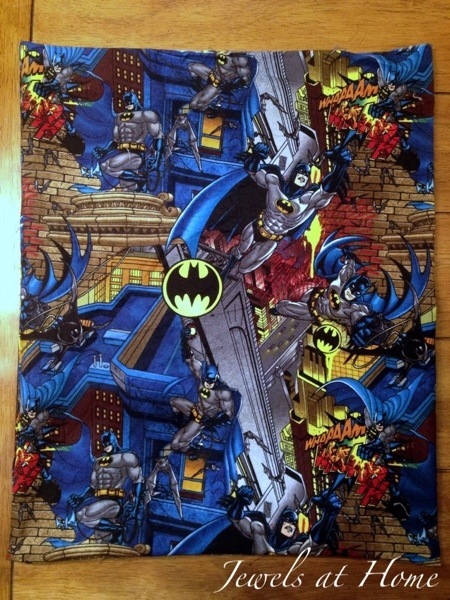 Now, Batman and Superman can be stylish and practical!